As a social media marketer, I used to be active on a lot more social networks earlier in my career. When we were marketing our now offline web service exploreB2B, we were actively using Quora. It was in some ways part of our strategy, and it was a lot of fun for a while. For those of you who might not know, Quora is a social question or answer site, and among other things, it was a very interesting place for direct social media outreach when running your own knowledge based site at the same time. I don’t remember why, I don’t remember whether I was frustrated or wanted this question to go viral. I remember watching the incoming answers a few days back in the day. Watching the question getting a couple of thousand views. And then it seemed to stop. That topic has over 850,000 views. I’m sure it didn’t exist when I started my original question. The topic also has 1615 answers. Ok, that may not sound “hyperviral” compared to some Youtube videos, but it is still a lot . My blog gets around a third of those pageviews every month. How much do you get for a blog post? Yes, this question was a bit viral – internally on Quora at least. And reading through the answers it is actually fairly easy to see why: The question and its answers made peoples’ lives a little better! Now isn’t that a bold claim? It’s the truth though. You’ve got 1615 answers and all of them are designed to make you smile for a second or an hour each. 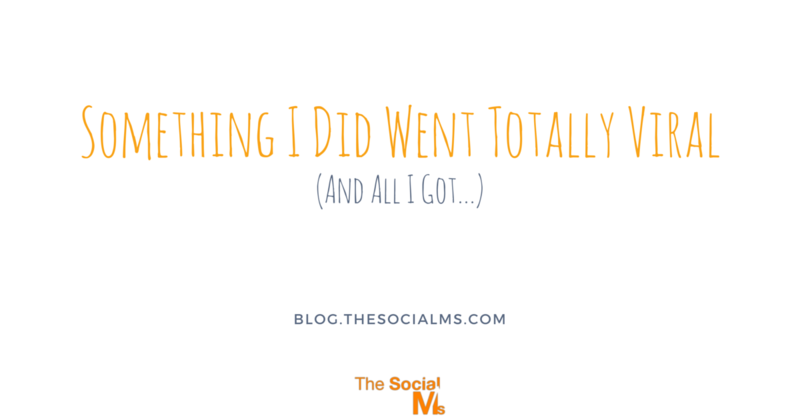 This is a social media marketing blog, so I had to start with something social media related! Am a dog owner myself – this thing simply holds more truth in it than most people realize. Sad – somehow made me smile anyway. Since a lot of the answers I quote here come from the Quora topic and not my initial question, I cannot take the full credit – yet the 150,000 views on my question are a huge chunk. These are just a few that made me smile – I won’t go through all 1615 answers here. Now, maybe all of us have the secret desire to achieve something that goes viral. Honestly, my first thought was that I finally get something to go viral and I’m not there to profit from it. Then I realized that I profited anyway: The whole thing made me smile. A lot. And it did the same thing for others. Of course I would want anything I write to go viral – but things don’t go viral because I want them to. They go viral because they provide a lot of value (in this case made people smile) and have a clear call to action (Answer the question!). This is not something that should come as a surprise to any social media marketer, but something that I see clients often having a problem with: Social media success doesn’t happen without providing value. Great social media accounts always provide value. 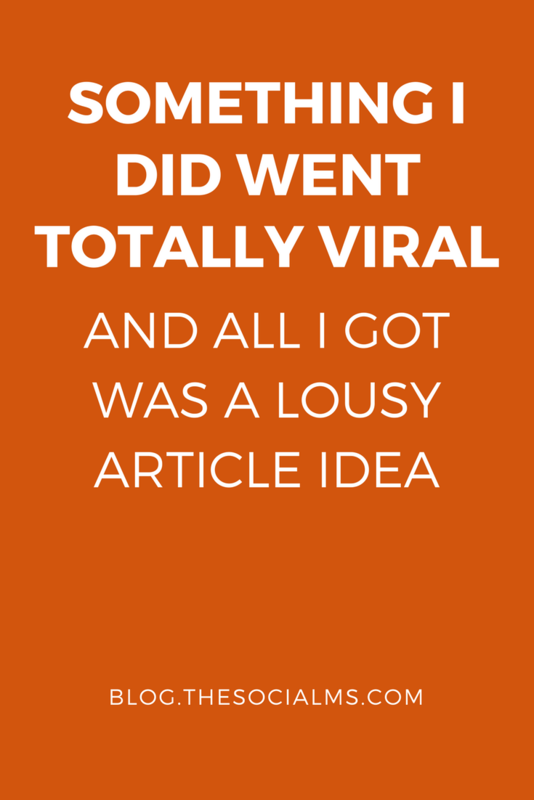 Another truth I found from this is that not everything that turns viral has to have a direct impact on your marketing. Sometimes all you get is to smile a little – and a lousy article idea with some great images. Get Your Expectations in Order! 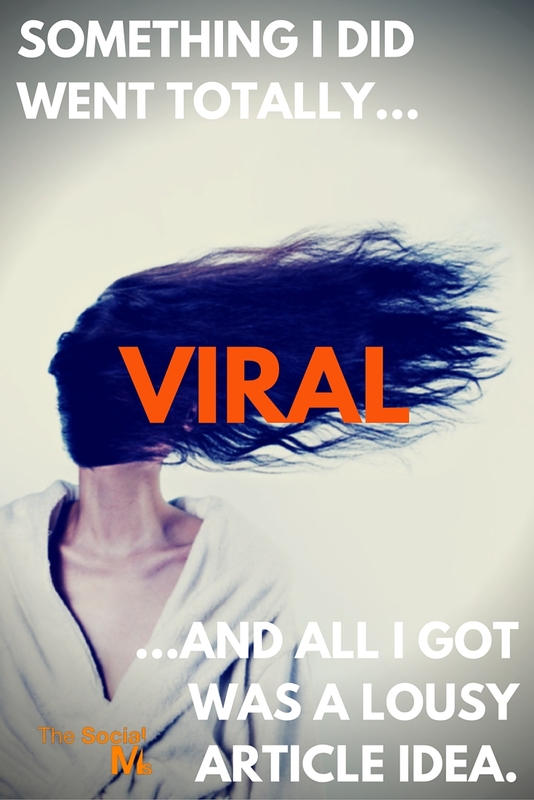 The truth is, something going viral will not always get your sales up or your popularity through the roof. Most of the time, all you get is a story to tell. Viral is still a desirable outcome, but one you cannot plan for. And simply because something you did turned viral you might still not profit from it. If it happens, great, you just managed to provide value to a lot of people – and they might have returned the favor in some way. If it doesn’t happen – you just need to continue to aim for greatness. Build an audience and provide value to that audience. A lot of the social media influencers we all adore never got anything “viral” – but they provided value to a great many people anyway. Social media marketing is not the quest for virality – it is your quest to provide value to your audience.